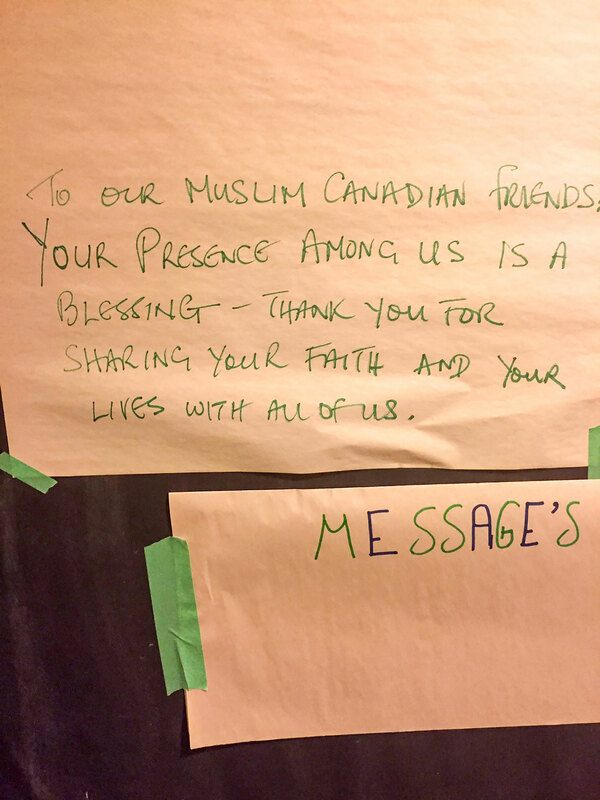 PHOTO BY MICHAEL CHACHURA/GLEANER NEWS: Fifty people gathered at the Centre for Social Innovation on Feb. 20 for a vigil in the wake of a shooting at a Quebec City mosque. 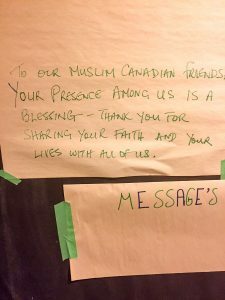 Organized by Uniting Muslims and Allies for Humanity, the evening featured speakers, prayers for peace, and a message board on which participants left words of welcome and support (above). Arif Vriani (MP, Parkdale-High Park) was among the attendees. He spoke about Motion 103, which asks Parliament to denounce Islamophobia, and all other forms of religious discrimination.